Want to take a break from cooking? 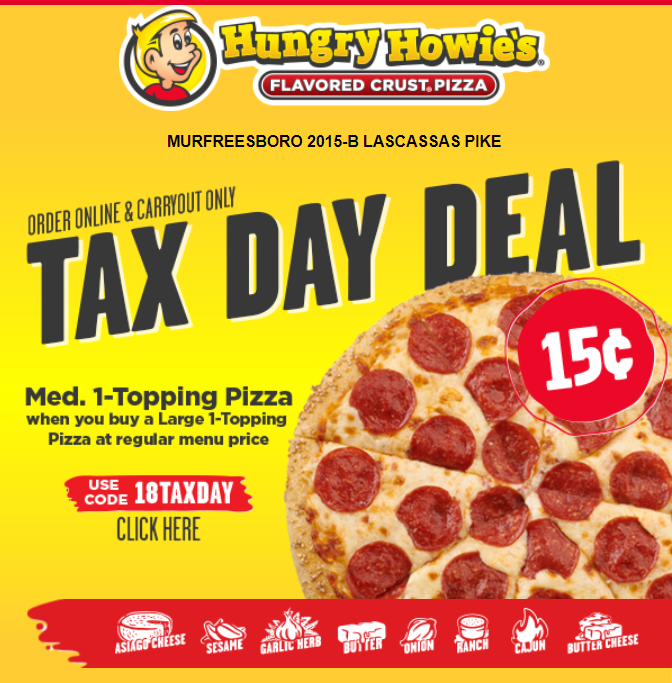 You can score a large 1-topping pizza for just $0.15 from Hungry Howie’s when you purchase a large pizza at regular price and use the coupon code 18TAXDAY. You can order online and choose to pick it up or deliver (if you choose delivery, you may have to pay extra). This deal is good Sunday, April 15 through Tuesday, April 17. Grab Martha White Muffin Mixes for $0.58!